Take a deep breath in. And a deep breath out. Feels good to have fresh air, doesn’t it? We know that when we breathe air, we are breathing in oxygen, which is essential to the functions of our body. 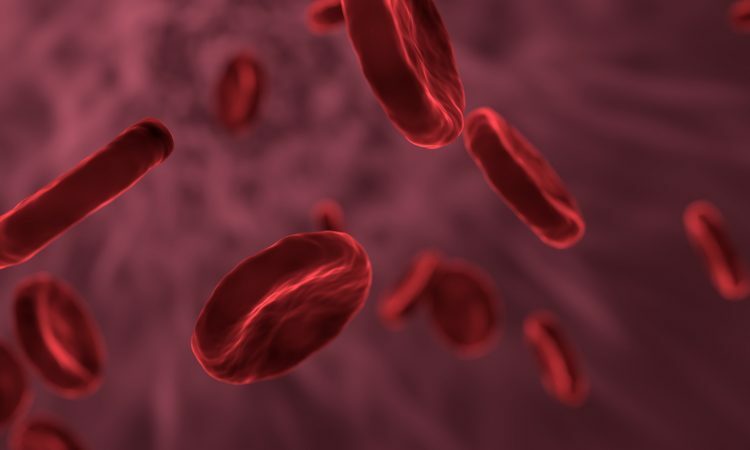 But that oxygen isn’t just floating around in our bodies – most of it is carried by a transporter molecule called heme inside our red blood cells. Heme consists of a porphyrin ring which has four equatorial binding sites co-ordinated to an iron centre, and two axial binding sites. In heme-containing proteins, one of the axial binding sites is used to bind to the protein (usually a histidine residue), leaving the sixth site free for the binding and release of oxygen or other divalent atoms. Heme itself is a very reactive molecule. In fact, it’s not only used to transport oxygen around the body but plays many roles in the cell. For example, heme-containing proteins are used to convert glucose to energy, and in metabolic reactions which help to break down molecules in the cell. When heme is bound to a protein its reactivity is very tightly controlled. The protein provides a framework so it can only bind to and react with specific molecules. Think of it like a ‘lock and key’. The protein forms a 3-dimensional ‘lock’ around heme so that only molecules, or ‘keys’, with the right shape can get close enough to react with the heme centre. This control is important because on its own, heme is highly reactive and very toxic. This puzzles scientists – if heme is highly reactive once it is formed, how could it get to other parts of the cell before any reaction takes place? What is the mechanism to control heme before it gets wild in cells? Up until recently, heme transportation remained a mystery. Previous work had identified particular proteins that may be involved in chaperoning heme from where it is made, but there was no evidence to show a chaperone protein directly binding to heme. A recent paper published in the Journal of Biological Chemistry by Sweeny et al. revealed an unlikely answer to the heme-chaperoning problem. Surprisingly, the answer lies with a boring enzyme called glyceraldehyde 3-phosphate dehydrogenase, or GAPDH. This is an enzyme found in every cell and is involved in breaking down sugars to energy. It’s so commonplace that it’s often used as a control in other experiments. But it turns out GAPDH has a second job – it ‘moonlights’ as a labile heme chaperone. Previous work had suggested that GAPDH might be possible a candidate. When GAPDH production is suppressed in a cell, labile heme levels increase and the activity of heme-containing proteins decrease. However, this evidence is insufficient to show a direct linkage interaction between GAPDH and heme. To show that GAPDH directly binds to heme, Sweeney et al. made use of the fact that histidine, one of the twenty amino acids that make up proteins, binds to heme. The group modified specific histidine residues on the GAPDH protein that were suspected to be involved in heme-binding. The researchers found one histidine residue in particular that prevented GAPDH from binding to heme in vitro. This showed that GAPDH has a specific binding site for heme. To test if this modification affected heme binding in the cell, the researchers fed cells expressing either normal GAPDH or mutant GAPDH with radiolabelled heme. When they isolated GAPDH from the cells they found the non-mutated protein showed high radioactivity counts, indicating binding to heme, but the mutant had comparatively very low radioactivity counts. They found that this mutation also had downstream effects on proteins that use heme in the cell, confirming the role of GAPDH as a chaperone for heme. This research has led to a better understanding of how heme is used and transported within the cell. While there is still more to discover, such as how GAPDH interacts with downstream proteins that use heme, and what other proteins might be involved, this research is an important piece of the heme-transport puzzle. Identifying GAPDH as a heme chaperone lays an important foundation to understanding how heme is used within a cell and how this process might contribute to human disease such as asthma, anaemia and more.